This study assessed the impact of nine lessons incorporating a NASA-themed transmedia book featuring digital fabrication activities on 5th-grade students (n = 29) recognized as advanced in mathematics based on their academic record. Data collected included a pretest and posttest of science content questions taken from released Virginia Standards of Learning exams, pre-intervention and post-intervention attitudinal survey data on students' attitude towards science, and open-response questions completed by students describing their feelings about the experience. No statistically significant findings resulted from our achievement test of science, but there were significant impacts on some measures of attitude towards science, and student participants self-reported their feelings about the experience. The article concludes with a discussion of how these results might provide guidance to other endeavors that feature digital fabrication activities in the context of science education, and an articulation of the various obstacles and possible benefits that might occur in future studies. Tillman, D., An, S., Boren, R. & Slykhuis, D. (2014). Building Model NASA Satellites: Elementary Students Studying Science Using a NASA-themed Transmedia Book Featuring Digital Fabrication Activities. 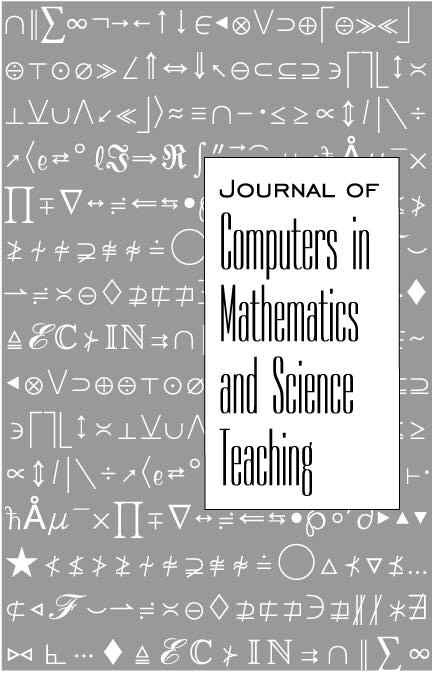 Journal of Computers in Mathematics and Science Teaching, 33 (3), 327-348. Waynesville, NC USA: Association for the Advancement of Computing in Education (AACE). Retrieved April 19, 2019 from https://www.learntechlib.org/primary/p/42081/. Smith, D. (2012). Magnetospheric multiscale (mmS) mission. Retrieved from http://mms.gsfc.nasa.gov/ Stevens, C. (1996). Elementary preservice teachers’ knowledge and beliefs regarding science and mathematics. School Science and Mathematics, 96(1), 2-9. Tillman, D. (2013). Preparing preservice elementary teachers to instruct contextualized mathematics pedagogy via engineering-related activities using digital fabrication. In R. McBride& M. Searson (eds. ), Proceedings of Society for Information Technology& Teacher Education (SITE) Conference 2013 (pp. 1212-1213). Chesapeake, va: aace.